Along with Anna, Karin is one of Ririka's best friends. They are in the same 4th grade class together at White Dove Academy (白鳩学園) and hang out together regularly both at and away from school. 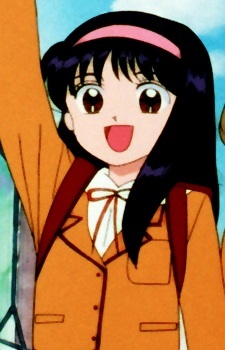 Karin is a very genki girl, and also quite excitable. Karin is very interested in cool guys, and every time she tells her friends about a new place to shop (usually somewhere selling food), there's inevitably a cute guy that works there that Karin is interested in.